12th volume in the Thinkers for Architects series. Paul Virilio is an innovative figure in the study of architecture, space, and the city. 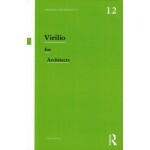 Virilio for Architects primes readers for their first encounter with his crucial texts on some of the vital theoretical debates of the twenty-first century, including: Oblique Architecture and Bunker Archeology , Critical Space and the Overexposed City, The Ultracity and Very High Buildings, Grey Ecology and Global Hypermovement. In exploring Virilio's most important architectural ideas and their impact, John Armitage traces his engagement with other key architectural and scientific thinkers such as Claude Parent, Benoit B. Mandelbrot, and Bernard Tschumi. 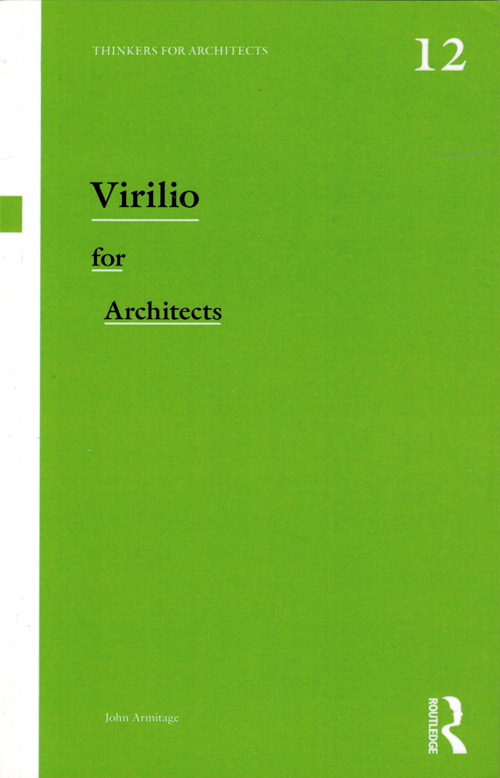 Virilio for Architects allows students, researchers, and non-academic readers to connect with Virilio's distinctive architectural theories, critical studies, and fresh ideas.